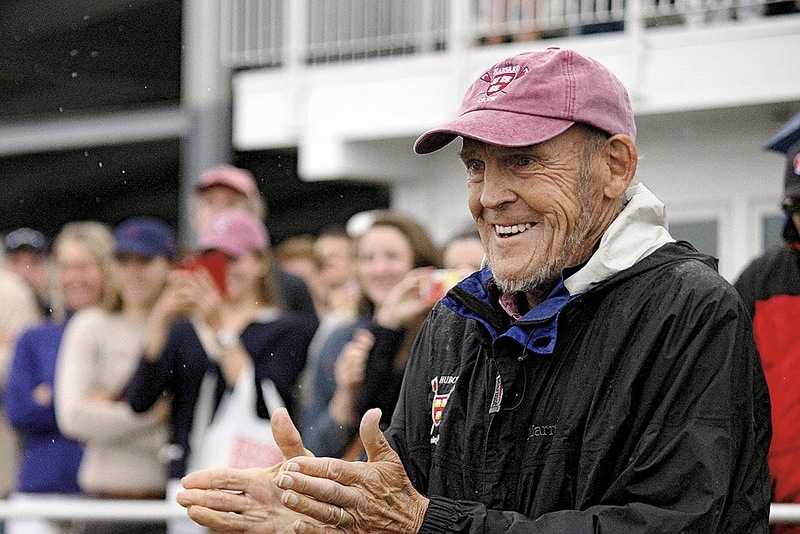 The word “legend”gets applied almost indiscriminately to sports figures these days, but Harry Parker, head coach of heavyweight mens’ crew at Harvard for 51 years, was the genuine article. He may be the most successful coach in the history of American college sports: across the decades, his crews’ overall winning percentage was in excess of .800; they won 16 official and unofficial national championships, and never had a losing year. Even at age 77, Parker was still at the peak of his powers: his last three crews went undefeated in the regular season.